Gillespies originated in the British Isles. Click on the green or blue links to find records that are ready. More records will be added to some of these links already posted. If no records are listed beside a county, it only means it has yet to be developed here. “Politically, the island is divided between The Republic of Ireland, called ‘Ireland’, an independent state of 26 counties, and Northern Ireland (a constituent country of the United Kingdom). They share an open border and both are part of the common travel area. 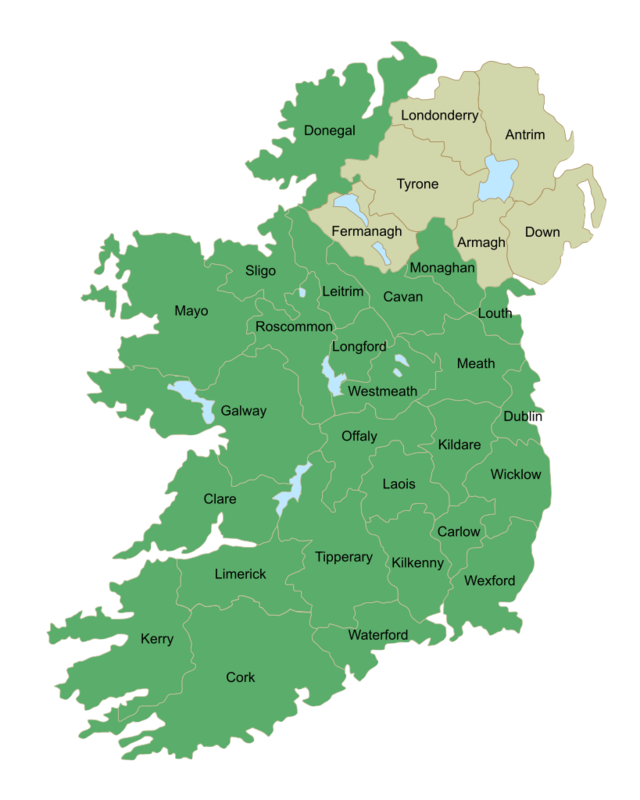 Northern Ireland consisted of six counties: Antrim, Armagh, Down, Fermanagh, Londonderry, and Tyrone. These form two-thirds of the historical province of Ulster, and perhaps why Irish- born Scots from there are called Ulster Scots in North America. Many Presbyterian Scots, mainly from Stirlingshire and Ayrshire, Scotland moved to Northern Ireland in two immigration schemes during 1600s to take over Catholic estates, whose land owners and tenants were forced to flee south or elsewhere. Many people were killed during these years. During the same period, English settlers moved into County Londonderry and also south into County Fermanagh, while dominating in Derry. Census 1901 – no records for Gillespie says National Archives of Ireland. Earliest record a death 1666.